Deswik has announced the launch of new survey functionality with their latest software release, Deswik.Suite 2016.1. 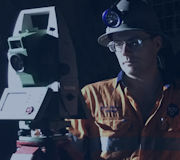 Integrating seamlessly with Leica instruments, Deswik.CAD now features in-built survey functions commonly used by underground surveyors internationally. 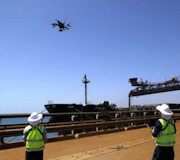 Rio Tinto is moving to expand its use of unmanned aerial systems outside its current mine monitoring and inspection activities and into the wider business. 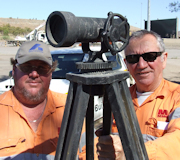 A unique sculpture has been erected at Gregory Downs in the Gulf of Carpentaria that pays tribute to all surveyors who worked on the Century Mine lease, and one in particular. 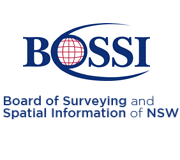 The September 2015 Report from BOSSI includes information on upcoming assessment, spatial information workshop, registration to the register and more. 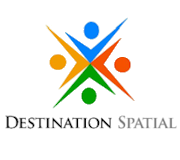 DSQ is a useful forum to promote surveying as a career and for AIMS to interact with other professionals involved in a wide range of surveying activities. 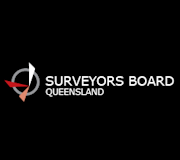 A new version of the Cadastral Survey Requirements will commence on 1 July 2015. The August 2015 Report from BOSSI includes a registration renewal reminder, info on CPD compliance an audit, annual registration certificates and more. The July 2015 Report from BOSSI includes information relating to Registration Renewal Fees and CPD Audit. 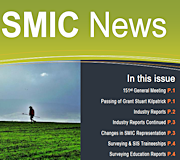 The June 2015 Report from BOSSI, including information on registration renewals, CPD compliance, Candidate enrolments, recent changes to BOSSI Determinations and Policies and Presentations of Certificates of Competency.